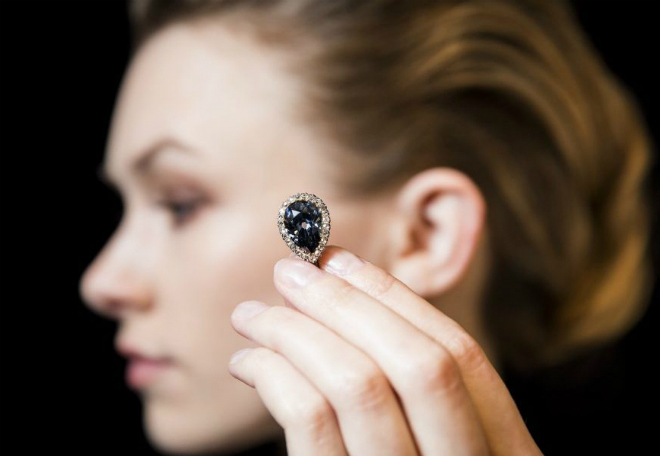 The pear-shaped, dark grey-blue gem, known as The Farnese Blue, was sold after a mere four minutes of bidding at the Sotheby’s auction. 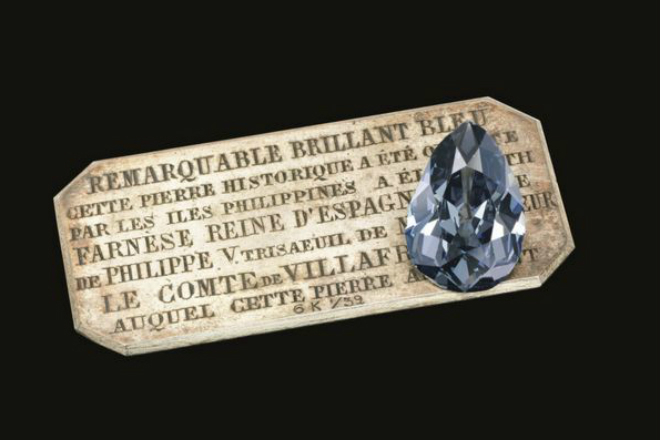 Found at India’s Golconda mines, the Farnese diamond was a gift to the daughter of the Duke of Parma in 1715 to mark her marriage to King Philip V of Spain. One of the most significant historical gems still in private hands, the Geneva auction marks the first time the Farnese Blue diamond was put up for sale. The auction performed exceptionally well, with the final bid way of the Farnese Blue surpassing the auction house’s initial estimate of $3.5m-$5m. 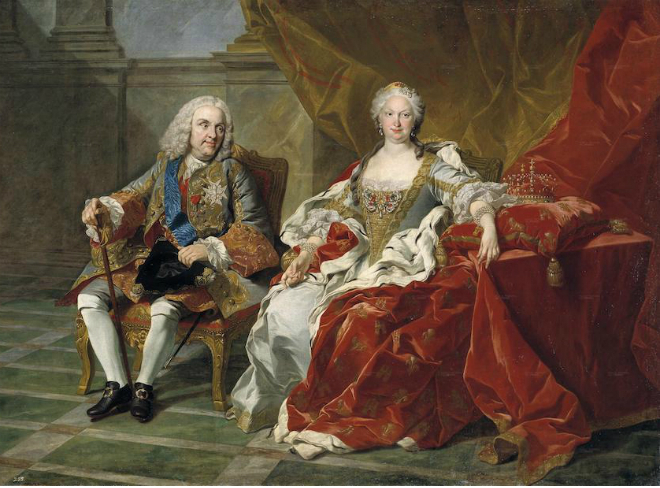 Philip V and Elisabeth in 1739. Despite the royal history of this gem, its whereabouts and existence was kept hushed to an exclusive circle. The Farnese Blue was originally a gift to Queen of Spain Elisabeth Farnese by the Philippines to celebrate her marriage to King Philip in 1714, the blue diamond was subsequently passed down to a descendant of France’s last queen, Marie Antoinette. Over the next three centuries, the Farnese Blue was furtively passed down through four European royal families. All this while, the 6.16-carat blue diamond was hidden in a jewellery box in a casket as it traveled through Spain, France, Italy, and Austria. Found from India’s Golconda mines, this gem holds an incredible pedigree. In fact, this region was the go-to source for exceptional colored diamonds, such as the Hope Diamond, until the 1720s when mining shifted to Brazil. The first time The Farnese Blue, passed down through European royalty, went on sale. Among the other magnificent gems in the list of the Sotheby’s auction includes a 51.71 carats round diamond ring that went for $9.2 million, and a 50.39-carat oval diamond ring that was sold for $8.1 million. The identity of the Farnese Blue buyer is unrevealed by Sotheby’s.